Steam is a natural resource and an H20 cleaner uses clean water creating a powerful pressure force that allows steam to kill 99% of bacteria that it comes in contact with, including the well-known e-coli and salmonella bacteria. It’s a very simple system when you think about it. 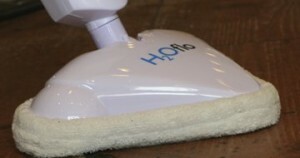 The steam mop turns water into steam which is then passed through the mop head to your floors. This allows you to clean up the stains without putting any effort at scrubbing while leaving no trace of toxic residue on the surface, allowing for a deep and easy clean without the environmental dangers. So how do you pick one? And what should you look for? An H20 mop can only be used on enclosed hard surfaces, like hardwood floors and ceramic tiles, but for a little extra you can get a model with attachments specialized for different tasks, expanding your working area to almost every nook and cranny where dirt can hide. Just make sure that the size of the attachment that you’re going to use fits the area that you will be working on. Too small and you’ll be there for hours on end. Too large and you’ll miss all the corners. Work smart. Nobody has to work harder than they should. The worst thing about using the old mop and bucket is waiting for it to dry. If you live in a busy household of seven, you can be pretty sure no one is going to sit still. The only time that you can mop the floors without getting disturbed is in the wee hours of the morning –when everyone else is in bed and asleep! 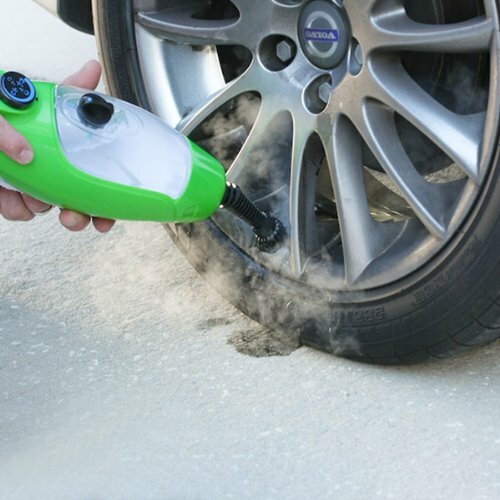 With a steam cleaner drying time is greatly reduced, except when you come across a very stubborn stain. It will take you a while, but at least you can mop your floors during the normal hours of daytime. It’s reallya question of how much you’re willing to spend. Some models already come with their own holding mat. This allows you to store your cleaning tool without waiting for it to cool down. Plus, it’s a lot smaller than your usual mop and will fit easily in your cleaning closet. And without the bucket in the closet, there’s more space for you to store something else. Steam mops are incredibly easy to use, adding to their desirability factor. All you need is water. There’s also lighter than your mop and bucket combo. Imagine not having to carry the extra weight of a full bucket of water. Pretty nice, eh? And when you’re working, you don’t have to get down on your hands and knees. Just glide your mop across the floor and wipe off the remaining dust. No more back pains for you! There are two types of people: Those who get a weird sense of satisfaction of working hard when cleaning and those who want to work smarter. For those of you who want to work more efficiently and who are environmentally-conscious, consider getting an H20 cleaning mop. Visit and see how it works of the products.